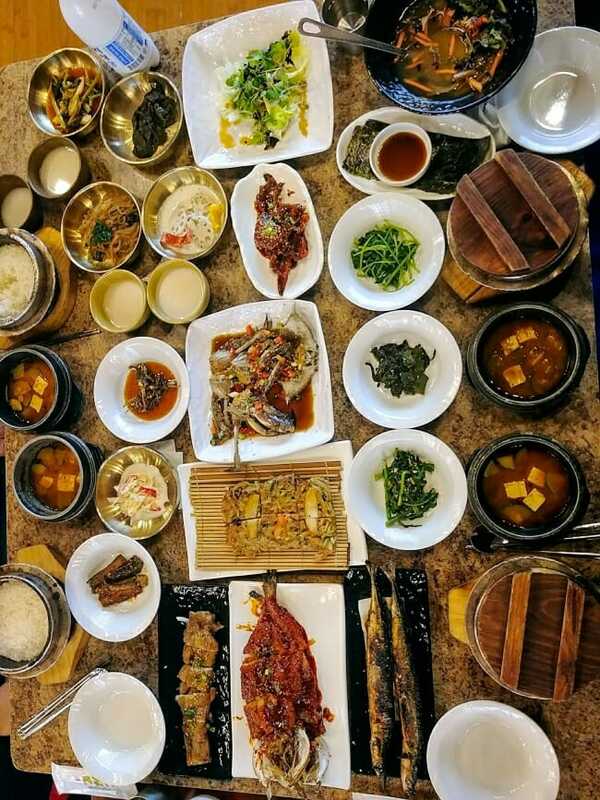 Here’s what my daughter and I did and ate when we went to Korea. 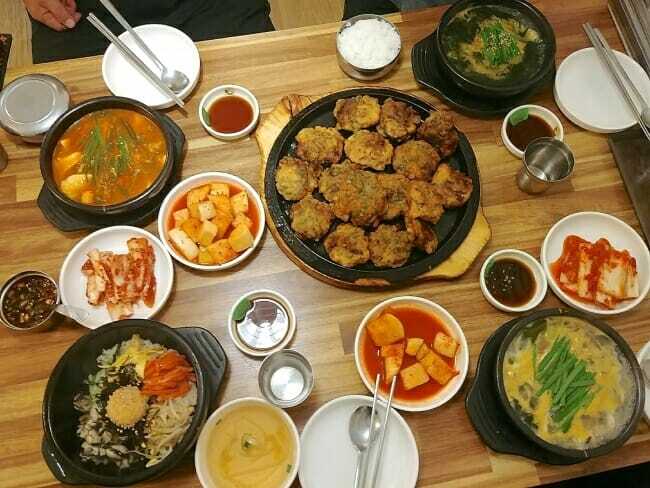 This post is focused on the places to visit and foods you must eat in Seoul. Korea. When my daughter suggested we should go to Korea together in the fall, I was a bit hesitant at first. I had wanted my next trip to Korea to be in the spring. For some reason, I always end up going there either in the summer or fall. 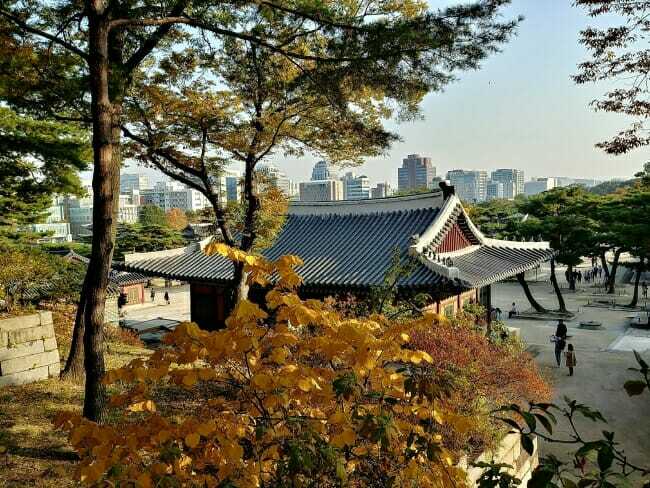 Don’t get me wrong – Korea’s fall is absolutely beautiful with stunning fall colors, but I simply miss Korea’s spring landscapes and seasonal foods. I eventually broke down. How could I resist another trip to Korea and opportunity to travel with my daughter! I’ll share our travel experiences over a few posts. The focus will be on the foods we had. Planning the trip, my daughter wanted to include Seoraksan (설악산) and Busan (부산) in our itinerary. 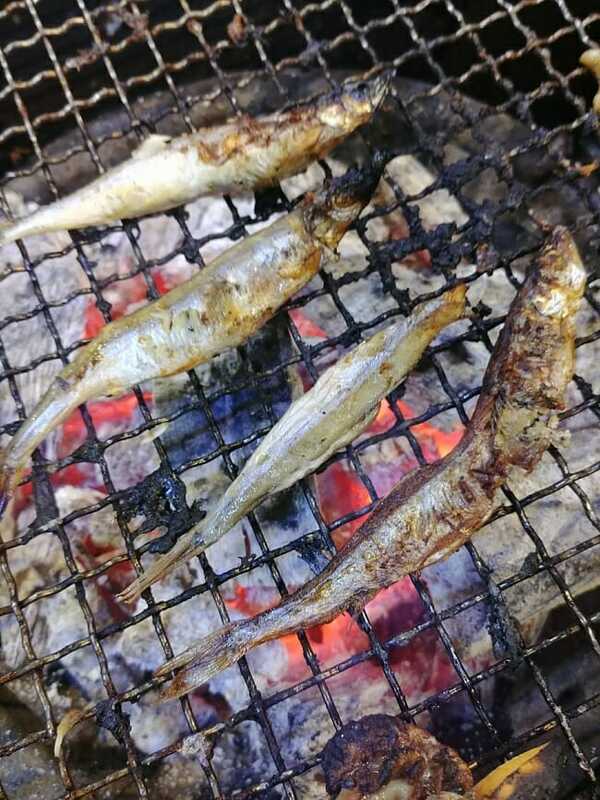 She was a child when we went to Seoraksan, and she had never been to Busan. I had Tongyeong (통영) and Yeosu (여수) in mind, parts of the country I had never been to but had always been enamored with seeing photos and videos of the coastal cities and surrounding islands. We both really wanted to revisit Jeju Island (제주도) — my parents’ hometown. After much discussion, we decided to include them all. It was a tight schedule. When we arrived, my sister-in-law and her husband picked us up from the airport and took us to one of their favorite restaurants for our first meal in Korea. The restaurant (Gulgukbap Jeonmunjip Gulsesang, 굴국밥 전문집 굴세상), specializing in oyster dishes, was about a 30 minute drive from the airport. 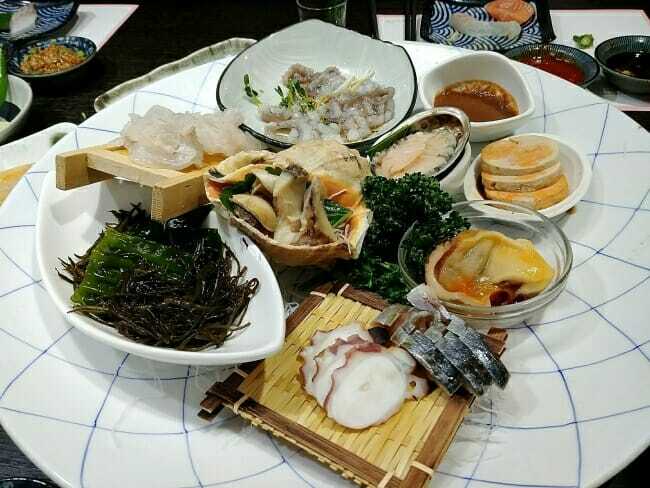 We ordered oyster bibimbap for me, oyster soup with maesaengi (매생이, super fine seaweed) for my daughter, and a big plate of crispy guljeon (굴전, pan-fried battered oysters) as an appetizer to share. Incredibly fresh oysters were delightfully incorporated into the classic dishes, offering a burst of ocean flavor in every bite. It was a meal that clearly reminded us we were in for a culinary treat in Korea! 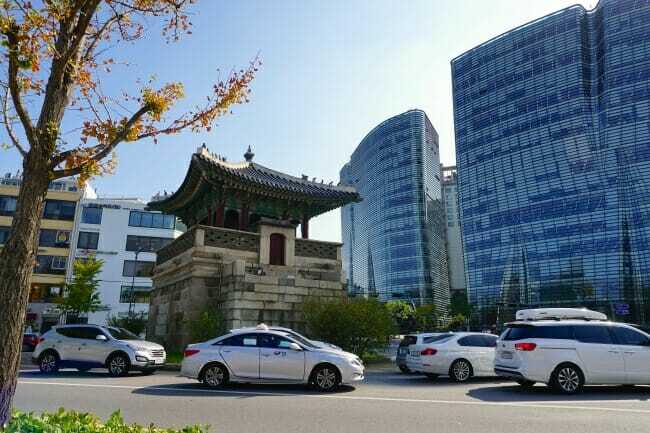 In Seoul, we stayed in the center of the city near Kwanghwamun (광화문). Our hotel was tucked into a quiet area not too far from the main streets. It was within walking distance, or a short taxi ride away to many attractions, cool neighborhoods, traditional markets, restaurants, etc. As we were turning into the small street where the hotel was located, I was struck with a strange feeling of familiarity in the area where I couldn’t recognize anything. I quickly learned that it was the area where my middle school used to be, which I had not visited for over 40 years. The City relocated the school to Gangnam (강남) and tore down the buildings for commercial development. One morning, I walked around the neighborhood looking for the exact location where my school used to be. As I was passing the back of the Jogyesa Buddhist temple, I noticed a stone memorial of another school that was also moved. All of sudden, a lot of details from my middle school days came back to life. I used to walk by that temple every day, and there was a boys’ middle/high school next door to ours. The area was known for haejangguk (해장국, hangover soup) restaurants, many of which I used to pass by on my way from the public bus stop. What a walk down memory lane! The next morning, we ate at one of the haejangguk places (Cheongjin Dong Jangteo Soondaeguk, 청진동 장터 순대국). 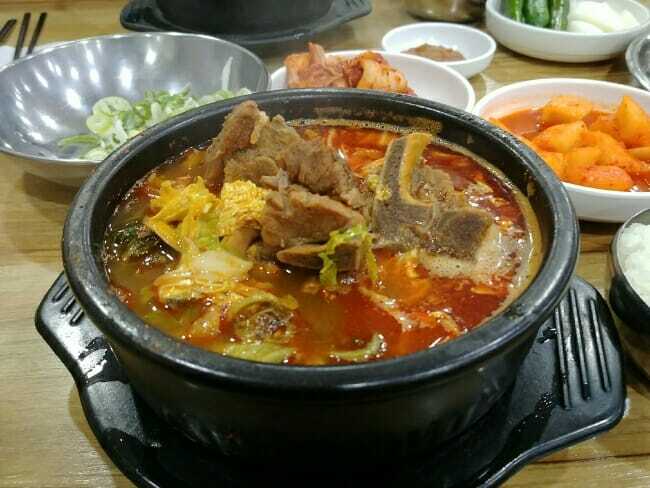 We ordered soondaeguk (순대국, blood sausage soup) and bbyeo haejangguk (뼈해장국, hangover soup with beef bones). 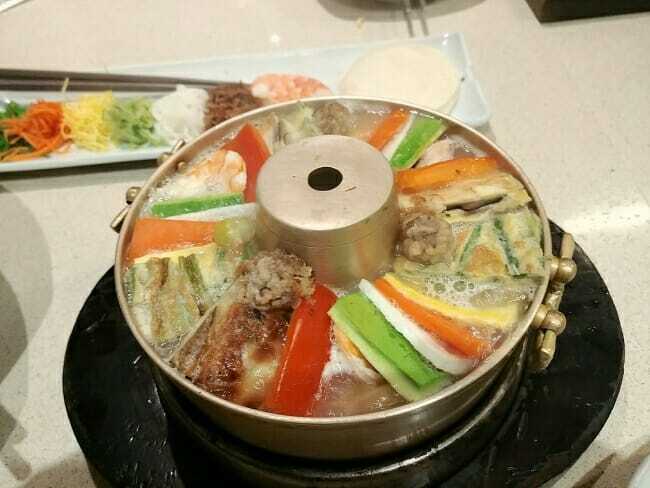 The soups were so good – deep and complex! It’ll be a must go stop when I visit Seoul. 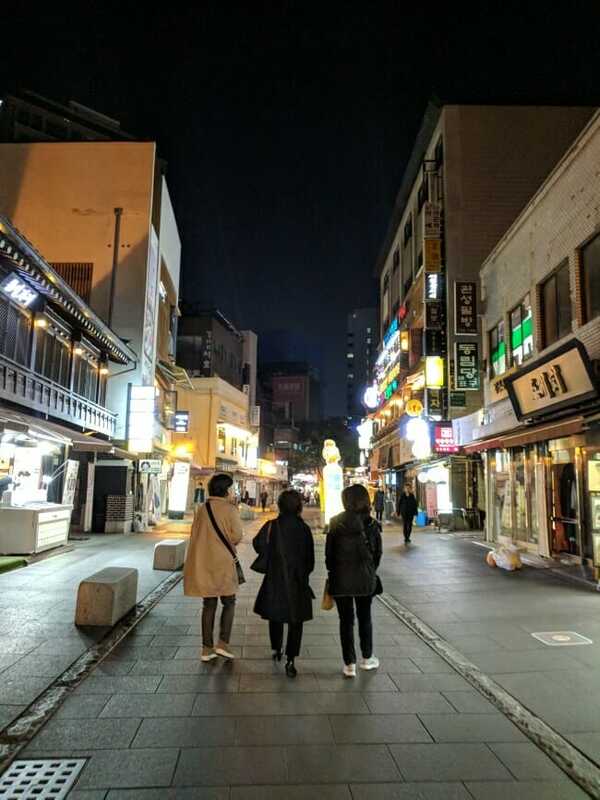 Our stay in Seoul was a mix of sightseeing, seeing/visiting friends and relatives, shopping, eating and drinking our way through the culinary delights of the city, and taking photos every step of the way. We did so much! 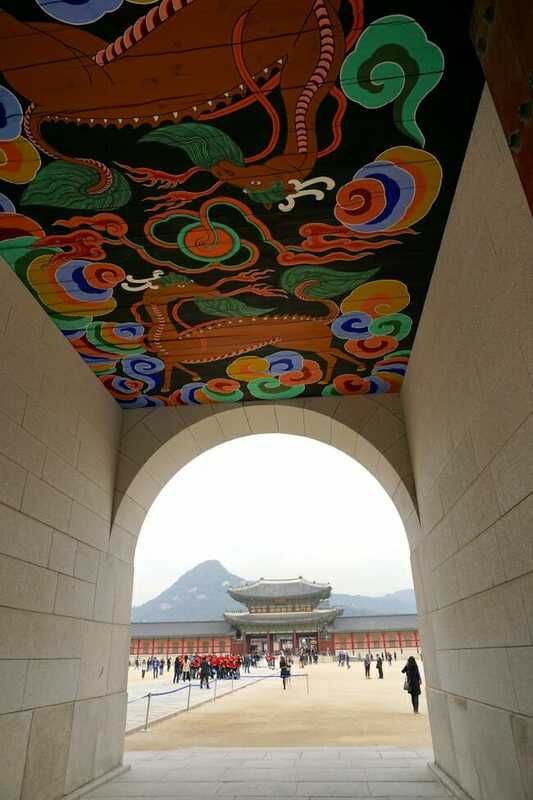 Some of the places we explored include Gyeongbokgung (경복궁), Changdeokgung (창덕궁), and Changyeongung (창경궁) palaces. 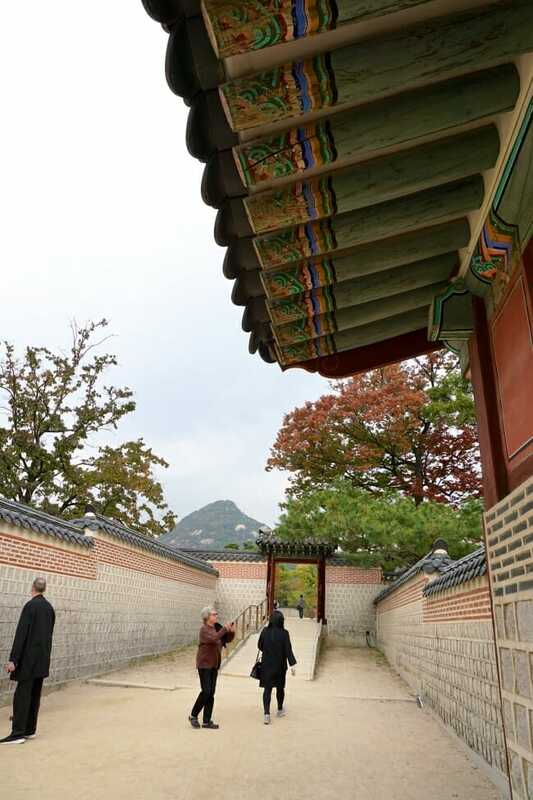 We were totally immersed in these palaces, their history, magnificent architecture and landscapes and gardens, especially beautiful with colorful fall foliage. 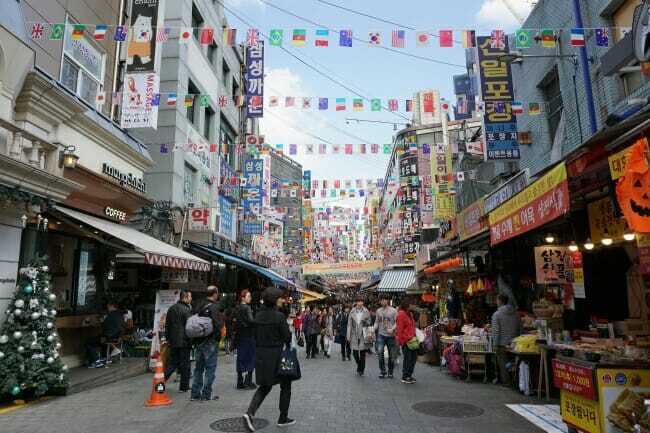 We also enjoyed wandering around Samcheongdong (삼청동), a hip neighborhood with boutiques, cafes, restaurants, galleries, etc. After stopping at a few stores, we had lunch at Samcheongdong Sujebi (삼청동 수제비). We were there a little early for lunch but there was already a long line outside. 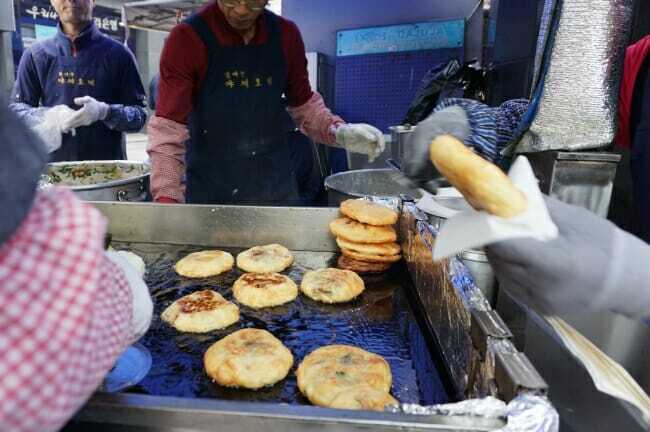 The place is very popular to Koreans for their sujebi (traditional soup with thin, hand torn flour dumplings) and potato pancake (감자전, gamjajeon). 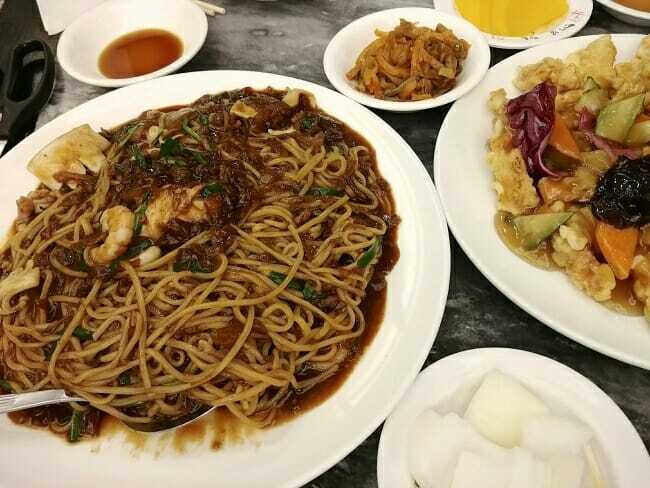 A friend brought me here last time I was in Seoul, and I really enjoyed these dishes. So, we ordered them again this time. 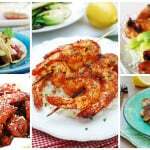 Delicious comfort foods! 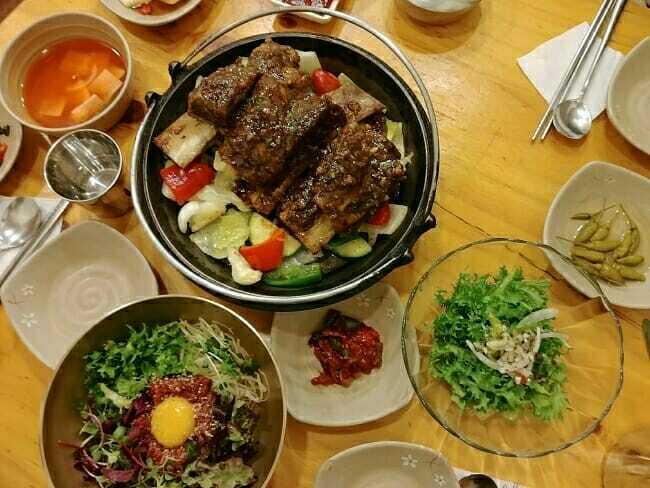 Bukmakgol (북막골) is another popular place in Samcheongdong, where we indulged in braised beef ribs (galbijjim, 갈비찜) and yukhoe (raw beef) bibimbap. Braised in a sweet and savory garlic sauce, these huge ribs were fall-off-the bone tender and loaded with bold flavors. They were served on top of steamed colorful vegetables, which was a nice twist on this classic dish. The bibimbap was a refreshing accompaniment. 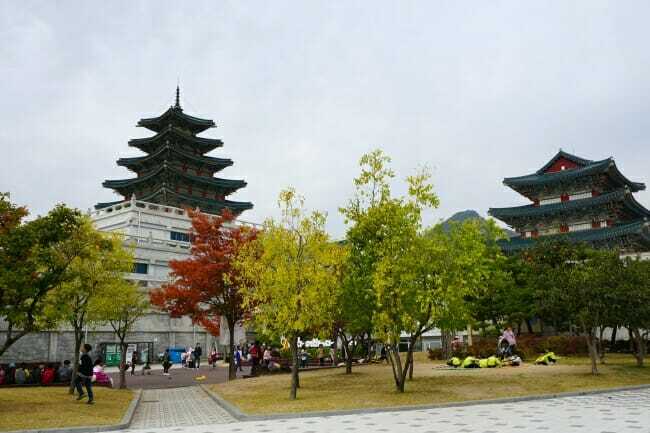 From Samcheongdong, it’s an easy walk over to Bukchon Hanok Village. 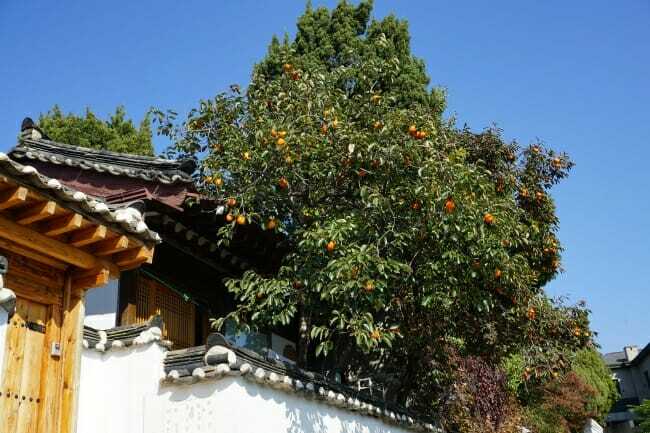 We strolled along the alleys admiring the hundreds of years old traditional houses, their persimmon trees with plentiful, deep orange color fruits, and the stunning view of the city. 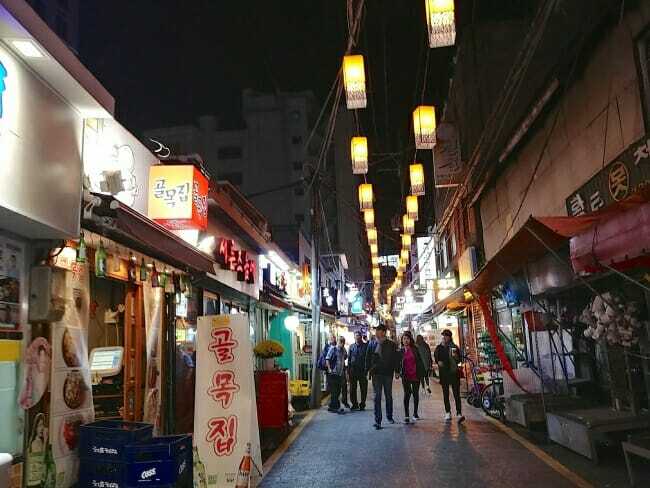 Although Insadong (인사동) is better known as a tourist area, it houses an infinite number of traditional restaurants, which are also popular among local Koreans. Insadong is a neighborhood with all sorts of traditional, cultural goods and artwork, galleries, souvenir shops, tea houses, and street food vendors. 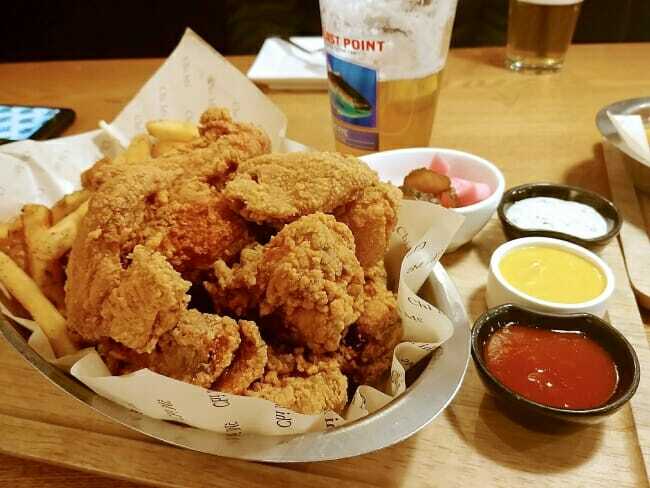 For us, it was a nice, convenient location to hang out and meet up with friends for dinner and drinks. We enjoyed bossam (보쌈) and kimchi jjim (김치찜) at Insadong Maneul Bossam (인사동 마늘보쌈) with lots of good makgeolli (막걸리, Korean milky rice wine) and another night of delicious dinner at Yangbandaek (양반댁), which included gulbi (굴비, dried salted yellow croaker), ganjang gejang (간장 게장, soy marinated raw crabs), and many other dishes. 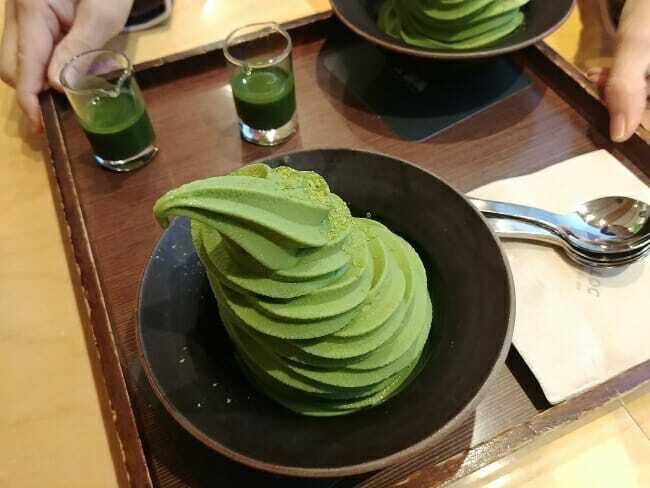 For some sweets after dinner, green tea ice cream at Osulloc (오설록) is lovely! 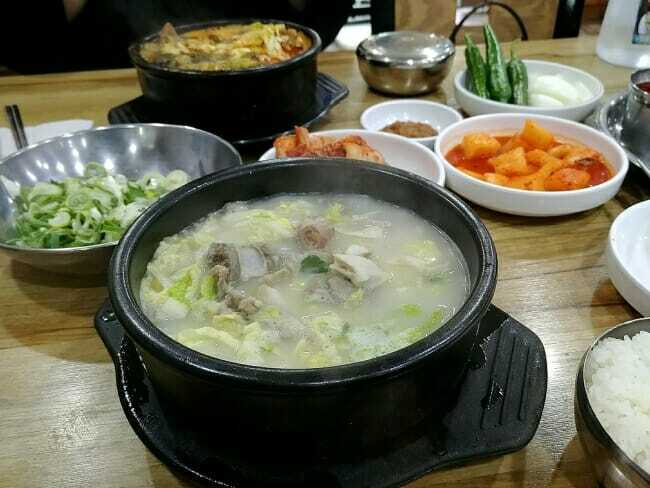 Recommended by a friend of mine, I chose Tosokchon (토속촌), a samgyetang (삼계탕) place, to take my relatives out for dinner one day. It certainly didn’t disappoint! 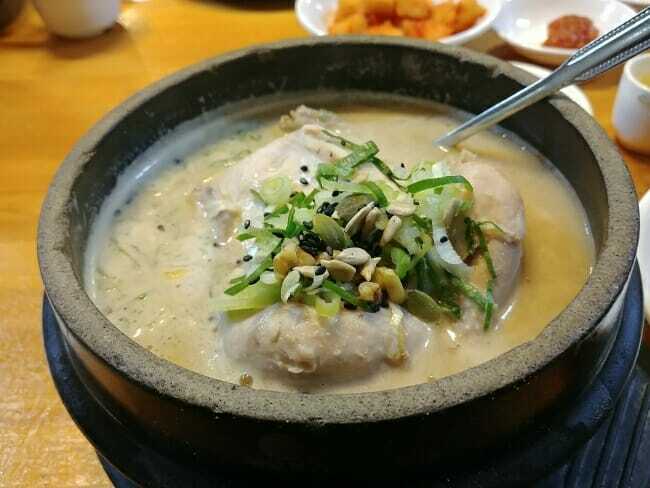 The slightly thick soup was very rich and nutty, and the young whole chicken was moist and tender. The complimentary ginseng wine on the side was a nice touch. 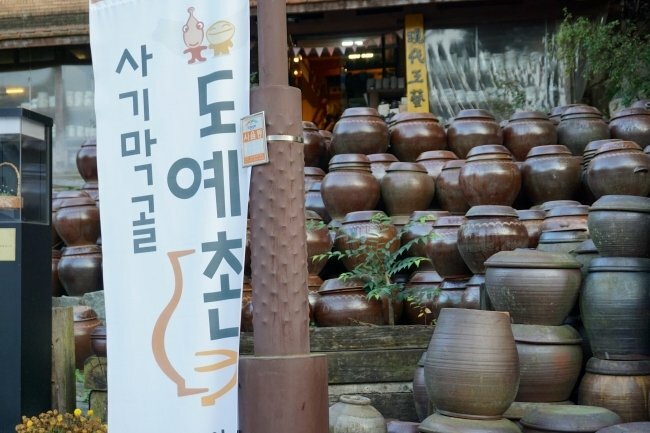 If you’re in the area, also check out the Sejong Village Food Culture Alley (세종마을 음식문화거리) nearby. We were too full to eat anything there, but it was lots of fun walking along these alleys which were lined with all sorts of eateries, cafes, bars, and shops. For some quality bulgogi, we headed to Hanilkwan (한일관) in Abgujeong (압구정). 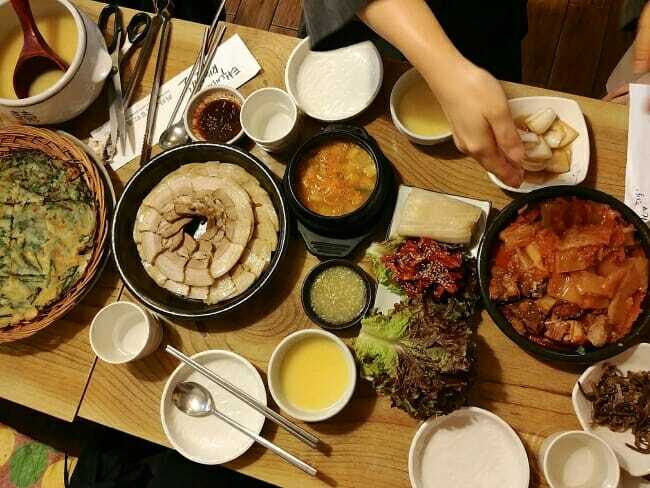 Hanilkwan is one of the oldest and finest Korean restaurants in Seoul, and serves traditional Korean dishes, including royal court dishes, such as gujeolpan (구절판, platter of nine delicacies) and sinseollo (신설로, royal hot pot). 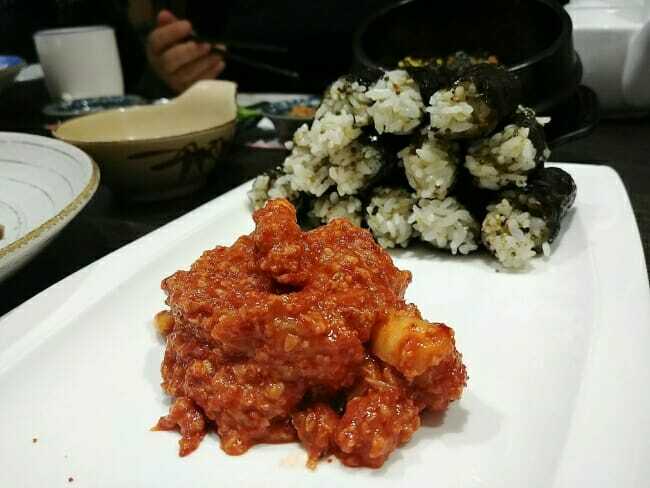 We went with a special menu item that included bulgogi, gujeolpan, sinseollo, nakji bokkeum (spicy stir-fried octopus), soups, and much more. Every dish was well prepared with quality ingredients! The bulgogi was no exception. No trip to Seoul is complete without visiting Namdaemun market! We went there a couple of times for shopping and eating. Among other things we ate in Namdaemun, the japchae hotteok we had to wait in line for was so good and totally worth the wait! Hotteok is usually stuffed with sweet filling, so this was something new to me. While we were in the area, we also visited the Sinsegye Department Store nearby, the basement of which is a gourmet food paradise. One of my favorite things we did in Seoul was a day trip to the pottery town in Ichon, Gyeongi-do, Sagimakgol Doyechon (사기막골 도예촌). 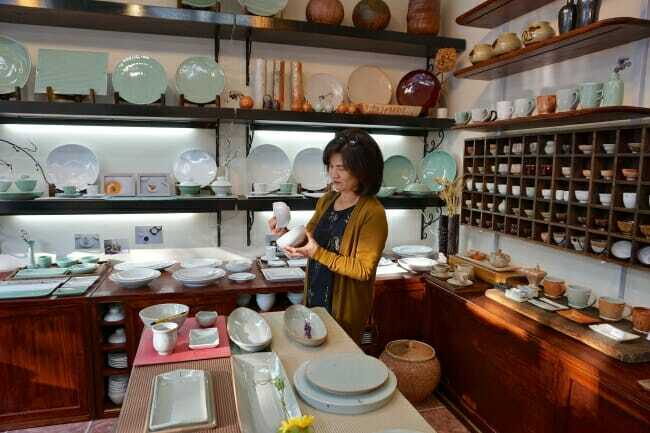 The place was a food blogger’s dream with so many beautiful tablewares made by local artists! While I could only get a few small plates and bowls due to my luggage limit, I really enjoyed browsing through a number of showrooms. It was a marvelous day out, and a feast size lunch at Icheon Ssal Naranim Bapsang (이천쌀 나랏님 밥상) was an exceptionally satisfying and memorable meal! There were so many food choices we wanted to try everywhere, but not enough meals in the day to try even a fraction of them. 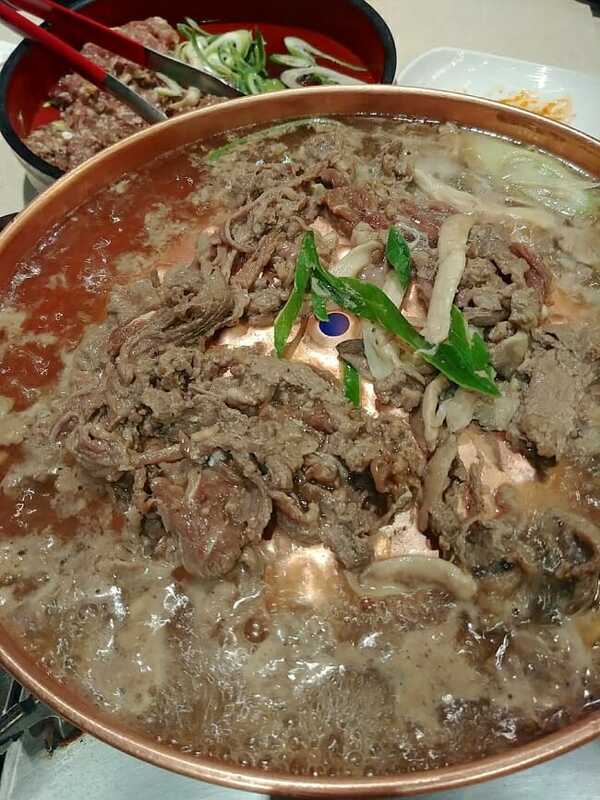 Here are photos of some other foods we had in or near Seoul. 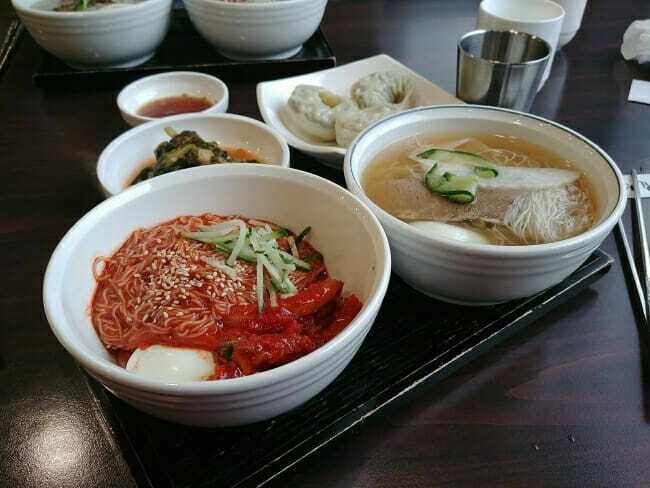 Debating between bibim naengmyeon and mul naengmyeon? 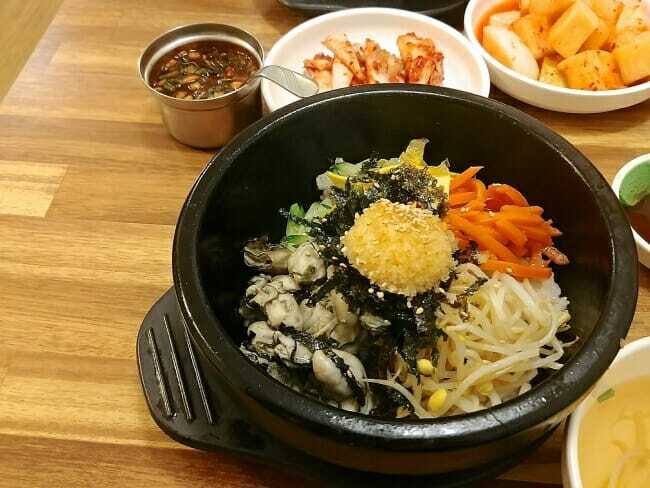 Yuwonjeong (유원정) in Lotte Department Store in Myeondong offers a serving with half and half in separate bowls! 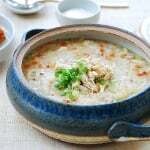 Do you have any favorite restaurants in Seoul? Please share in the comment section below. Our next destination was Sokcho and Seoraksan, where we spent 2 nights and 3 days. Stay tuned for part 2! I loved this post! It made me miss Seoul a lot :). I also enjoyed the reflections on the city from your school days. Apart from that, The Second Best Place in Seoul serves amazing patjuk. 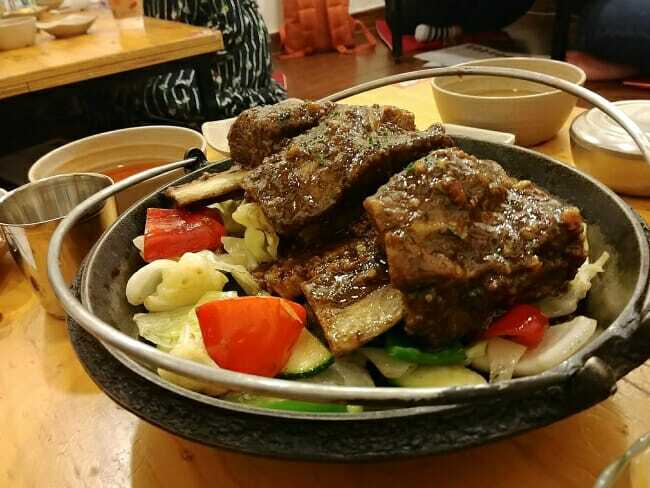 There is also a restaurant at the foot of Bukhansan which only serves tofu. I never liked tofu until it was the only thing to eat after an exhausting day climbing the mountain. The tofu at that restaurant converted me. Anyway, I can’t wait for part 2! Thank you, Jara! Bamboo wine sounds good. I had patjuk at The Second Best Place last time I visited in Seoul. Loved it! We passed by this time but were too full to have patjuk. I’m going to remember to visit that tofu place next time. Sounds great! Thank you so much for the information! Do you mind sharing the addresses for the restaurants you went too? 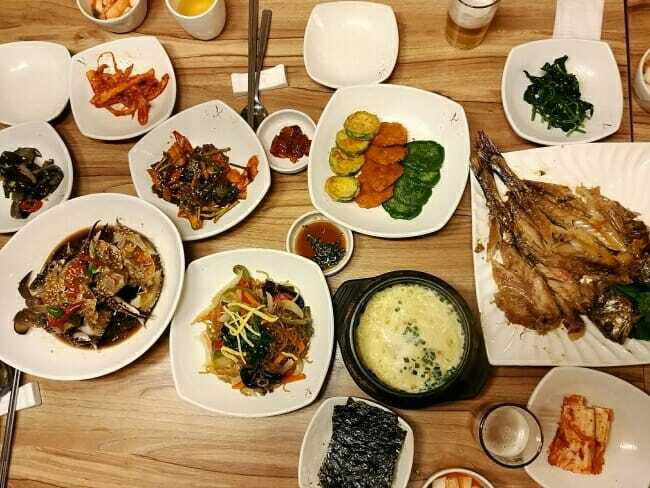 Everything looks so good and I want to add them to my food list for my next trip to Korea. Thanks for sharing your trip with us! Okay I’ll provide the links that have information. Thanks! 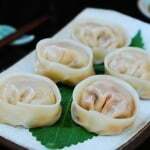 I like Jaha Son Mandu (자하손만두) in Buam-dong. 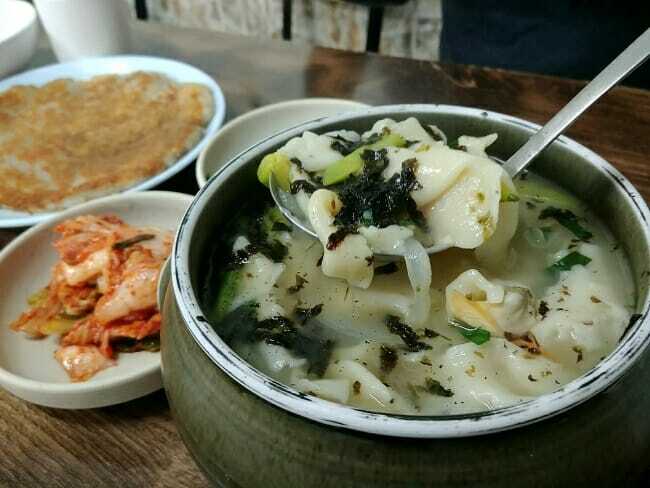 Really delicious mandu and Tteok mandu soup. I followed along your trip Reminiscing my trips to Seoul. I grew up near Sajik Gongwon & was familiar with the areas. Like you, I was somewhat lost initially in my own parts of town because of the city’s tremendous changes and growth. While I excitedly the many food during my visit, I was happy that my weight hadn’t fluctuated as much, thanks to all the walking and sightseeing. The photos were beautiful & made me want to visit Korea again. Thanks! Thank you for sharing your story! 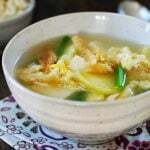 Oh Sajik Gongwon! I once lived not too far from there but have totally forgotten about that. Thanks for the reminder. I’ve always wanted to explore the city more to reminisce the time I lived there, but the 2 weeks or 3 weeks visit to Korea isn’t long enough for that. I already want to go back! Oh my! A culinary extravaganza! All the food looks so delicious!!! 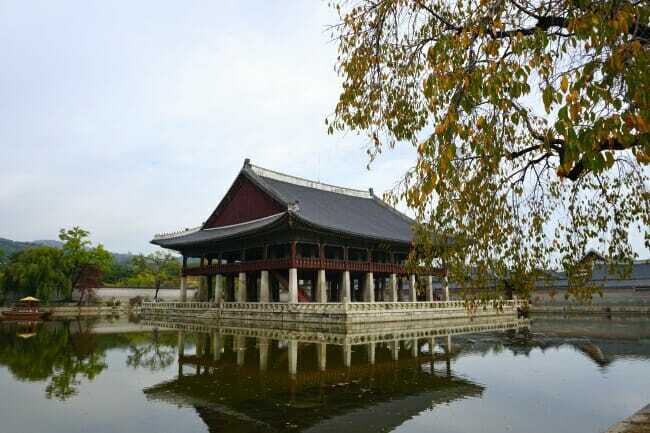 One day I will visit Korea, where I was born. I was adopted to the states in 1974. I’m looking forward to seeing photos of Jeju Island! Thanks for sharing!! Thanks, Lisa. I hope he said “Yes”! I truly LOVED reading this! I am a Korean adoptee and have never been back to Korea. I am hoping I can make the trip soon. Aside from the amazing food photos you took, I love looking at your photos of the beautiful Fall season in Korea. My adoption papers state that I am from the Kyangsangnam-do area. I am not sure where that is but I hope to visit in the near future and possibly locate my birth mother. Thanks again so much for posting this! 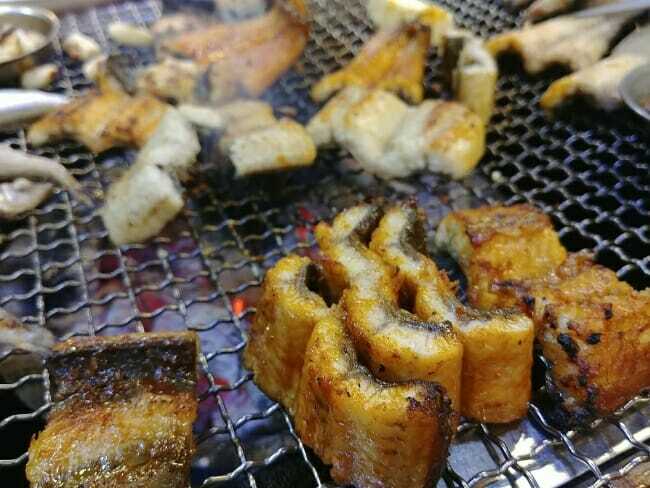 This is probably the place that you are looking for in Korea. Gyeongsangnam-do, South Korea. A lot of the spellings seem to have changed. This happened in my m9ms birth certificate from 1933. The spelling was completely different than what it is now. Thanks for sharing your trip. Korea is one country I’d like to stay in for at least a month just to savor such culture. And your website is such a great reference for my bucket list going there. Continue on and God bless. Thank you, Jacque! I hope to be able to stay in Korea for a longer period of time as well. There are so many places I want to try!